In domestic hot water applications for apartments, hotels, and other applications with high domestic hot water demands, getting hot water safely to all areas of your building is the primary concern. Domestic hot water control systems must deliver water that is always at the right temperature, even during peak demand periods. Heat Timer makes a number of different tempering valves which are used to mix water to a desired temperature and to perfectly manage demand in your domestic hot water supply. Our tempering valves can regulate the temperature of hot water either electronically or thermostatically. The hot water from the hot water supply is constantly blended with a proportion of the cooler water to maintain the correct water temperature entering the system. Legionella—Selection and controlling proper water temperature in domestic water storage and delivery systems is important in preventing illness from water-borne bacteria such as Legionella. 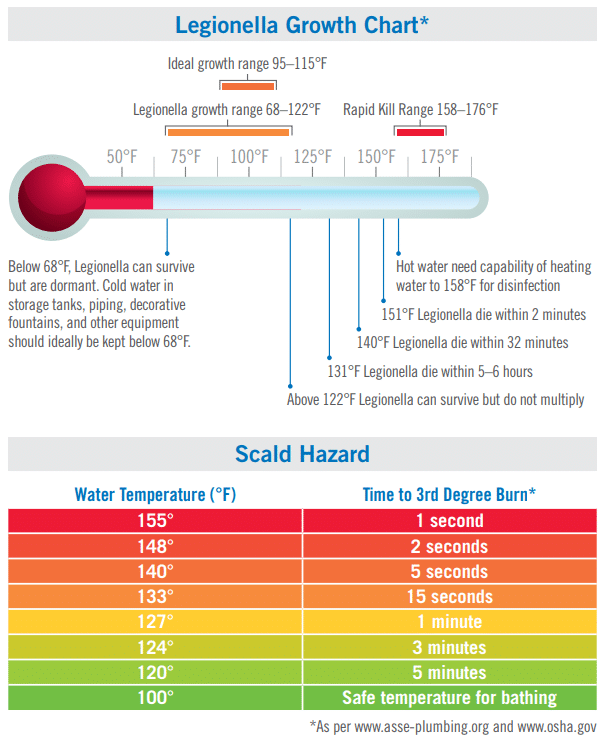 Scald Hazards—Scald hazards can be created in domestic water distribution systems when not properly controlled or monitored. Temperature Fluctuation—Is the rapid and uncomfortable change in water temperature experienced at the faucet or shower by the end-user, which can lead to a fall or serious injury due to thermal shock. The following is an overview of the tempering valve product families for Domestic Hot water applications. Please note that Heat Timer valves can be ordered in almost any standard size to fit your building’s plumbing. 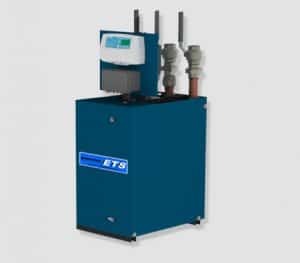 For accurate control and monitoring of domestic hot water temperature, the ETV Platinum Plus Series is the ideal option. 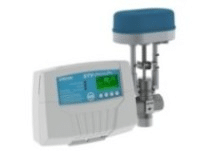 The focus of this design is to provide set point control of the mixing valve, to allow quick restoration of water temperature, even under peak loads. The ETV can operate standalone but communication upgrades for this unit allow the user to remotely monitor and control it via internet or other systems. For more information see our product page on the ETV Platinum Plus – Electronic Tempering Valve Control. Heat Timer in response to demand for a complete, pre-assembled tempering valve solution, provides the Heat Timer ETS or Electronic Tempering Station. This solution is essentially a pre-plumbed ETV, available in multiple valve sizes for the simplest installation into your existing domestic hot water system. With the control module pre-wired, and all ETV connections pre-piped, you simply connect up your water supply and plug it in to start enjoying perfectly controlled, on demand domestic hot water. For hospitals, nursing homes, hotels, apartments and condo’s, our Precision Tempering Valve series, handle flow control with a fixed setpoint determined by an internal thermostatic element. These valves operate reliably and virtually instantaneously, without any need for electronic control. To Understand How to Create your Complete Domestic Hot Water Management System Call Heat Timer Today. Our systems are designed for commercial and multi-family applications, no matter how large, complex or demanding your heating requirements are, or how old or new your building is. Our product focus is on creating systems that are easy to install, program and manage, and provide reliable and safe domestic hot water.